Montreal was supposed to host the Canadian championship of Brazilian jiu-jitsu over the weekend, but the event was postponed after it was declared illegal. The competition was supposed to take place at the Pierre-Charbonneau Centre, near the Olympic Stadium. But the group’s Facebook page said that it decided to cancel the event Friday evening — for the first time in nine years — after Montreal police (SPVM) threatened to make arrests. The Montreal competition features Brazilian jiu-jitsu, which organizers say does not have any strikes of the fists, hands or feet. They say the UAE Jiu-Jitsu Federation should have been allowed to hold its annual event. “For us, it was a huge shock because it was never a problem before. We didn’t even think it could be a problem,” said organizer Danny An Khoi Vu. About 240 competitors, some as young as nine, were registered to take part. “When we were advised of the event, we met with the promoter mentioning that if he was going to do the event — because he was not part of a federation or that he didn’t get the [approval] of the International Olympic Committee — there could be some consequences to the event,” Montreal police spokesman Jean-Pierre Brabant told CBC. Article 83 of the Canadian Criminal Code states that only contests of combat sports that are “on the programme of the International Olympic Committee or the International Paralympic Committee” can be held. By that definition, jiu-jitsu, a Japanese martial art that has close combat but is not on the IOC’s program, violates the law. Combat sports event organizers can also get special permission from their provinces to hold tournaments. 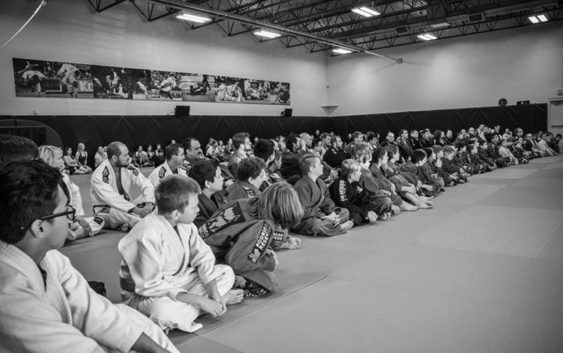 But organizers of the cancelled tournament believe their form of jiu-jitsu shouldn’t be regulated under the law because it has more in common with grappling than boxing. Vu wonders if when they sought a legal opinion, the SPVM confused Japanese jiu-jitsu with Brazillian jiu-jitsu. Japanese jiu jitsu involves punching and kicking where its Brazilian cousin does not. Organizers say they tried to inform police of the difference between the two disciplines. “We tried every avenue possible until there was no other alternative,” said the Facebook statement. The event has been postponed until March 5. “It was not a decision that was taken lightly. However, considering that our first priority is the security of our competitors and secondly the reputation of our great sport, we believed that there was no other alternative [than] to the postponement of the tournament,” organizers say. A location for the new competition has yet to be determined, but it will not take place in Montreal. Organizers are contacting other municipalities in the greater Montreal area to see if town officials and their local police forces will allow them to hold their tournament. Participants who already registered for the Canada National Pro Jiu-Jitsu Championship but cannot attend on March 5, can be reimbursed. Registration will be open again so that other competitors can join.